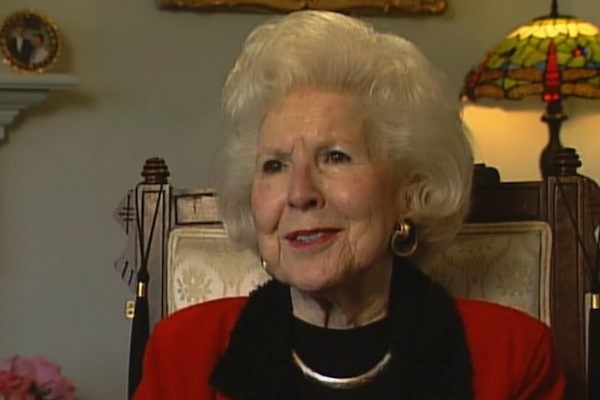 Bette Rogge Morse '44, '77, noted Dayton television pioneer and stalwart University of Dayton supporter, passed away Jan. 20, 2015. She was 92. Rogge Morse served the University she loved in many roles — alumna, faculty member, trustee, philanthropist and Flyer fan, invariably bringing her grace, sparkle and kindness. "Bette's support has been unflagging and inspirational," said University President Daniel J. Curran. "She gave her time, her talents, her resources and her energy generously over a remarkable span of years, helping our students in so many ways. She advanced the quality and the reputation of the University of Dayton and leaves a legacy that will have an impact on our students and our campus for years to come." Born and raised in Dayton, she graduated from the University in 1944 and embarked on a career in radio and television that spanned 40 years. Highlights of that career included hosting a long-running variety show and interviewing nationally known celebrities and figures. "She was just a gem," said Nancy Stork, formerly of the University's advancement division. "She met so many people and had so many stories to tell. If you said anyone's name, she had a story to tell about them. She lived such a rich life." 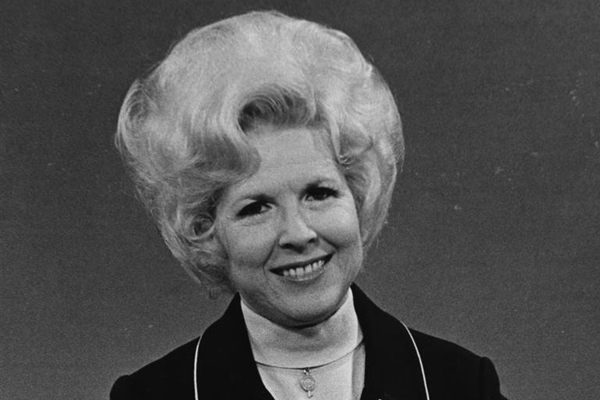 As host of the "The Bette Rogge Show" on WHIO-TV, she interviewed national celebrities including Lucille Ball, Bob Hope, Mickey Rooney, William Shatner, Liberace and many others. She covered the Apollo 14 moon landing, interviewed astronauts and NASA officials and conducted a special televised half-hour tour of the White House in 1968 during the Johnson administration. She was inducted into the Dayton Area Broadcasters Hall of Fame in 2003, along with Phil Donohue. Her hall of fame listing notes that, in the 1960s and 1970s, she became the first woman in the area to host a local TV variety show and she continued her career as a broadcaster on local cable TV in the 1990s and 2000s. In 2002, she donated her collection of audiovisual recordings, documents, photographs and other materials to the University of Dayton archives — a collection that not only documents her long career but also is a window to an vibrant era of broadcast history. The collection contains 569 audiovisual recordings on various media — many digitized — and will soon be available online on the University archives website. Rogge Morse sustained great love and support for the University of Dayton throughout her life. She was one of its first women trustees, serving from 1975 to 1981, served as a faculty member in communication and, along with her husband of 58 years, Wayne H. Morse Sr., supported the University with generous gifts. Brother Raymond Fitz, S.M., former president of the University, recalled many ways she left her mark on the University, including serving on the search committee that selected him as president 1979 and helping him to become established in the Dayton area in that new role with personal introductions to community leaders. When fire ravaged St. Joseph Hall in 1987, Bette and Wayne made a major contribution toward the rebuilding, he said. The Morses also established two scholarships — one in communication and another in engineering. For her service to the University, Rogge Morse was awarded a doctor of humane letters in 1999. She was a familiar presence at University gatherings dinner, reunions and active in the Golden Flyers, those alumni who graduated 50 years ago or more, Stork said. Fitz said Wayne and Bette were "inseparable," attending many events together, and helping the University out in any way they could. "Last fall, they were at the scholarship dinner," he said. "She was in a wheelchair, but she was determined to be there." While Rogge Morse was well known as a radio and television pioneer, what isn't widely known was her devotion to the Dayton Flyers, said Tim Wabler, vice president and director of athletics. "She and Wayne were always generous supporters of UD Athletics. In fact, the staff room for our women's basketball team in the Donoher Center is named for her," Wabler said. "But it went deeper than that. She was such a great representative of the Dayton area, and anytime she could draw attention to our accomplishments, she would without hesitation. "She was a tremendously gracious person, and she went out of her way to cast everyone in the best light. She was a great ambassador for our region, and certainly the University of Dayton." A Kettering resident, Rogge Morse is survived by her husband, Wayne H. Morse Sr.; daughter Melissa and her husband Craig Murakami, of Kettering; son Wayne H. Morse Jr. and his wife Melissa of Atlanta; and grandchildren Tyler and Jordan Morse, also of Atlanta. Visitation is scheduled for 1-4 p.m. Saturday, February 14, at Tobias Funeral Home, 5471 Far Hills Ave., Dayton. Donations may be made in her memory to the University of Dayton, Hospice of Dayton or the Salvation Army.